Buddhist texts show how boundless love can be applied to problems of social fragmentation and violence. Quincy, MA (USA) -- Given the forces of divisiveness and violence that have been unleashed in many parts of the world in recent years, I have been asked to explain what resources within Buddhism I draw upon as a Buddhist scholar and Dharma teacher that might help empower people in their quest for genuine peace. In the past year, partly as my own response to the violence of September 11, terrorism, and war, but also to daily news of violence in homes and neighborhoods in my own country, I have found my attention turn to the four boundless attitudes that are central to my tradition, and a renewed interest in taking them up for protection and refuge. I find myself increasingly focusing on their practice in my life and teaching their cultivation both within the university and in meditation retreats and workshops. The four boundless attitudes appear prominently in Shakyamuni Buddha?s recorded teachings. Buddhist texts refer to them as boundlesses, and as divine abodes. The four boundless attitudes are powerful states of mind that are literally unconditional and all-inclusive in scope: boundless, unconditional love; compassion; sympathetic joy; and equanimity. Love here is the wish for beings to be deeply well and joyful and to possess the inner causes of such joy (inmost virtue). Compassion is the wish for beings to be free of suffering and free from its inmost causes (free from patterns of self-grasping and karmic reaction). Sympathetic joy is joy in the joy of beings and in the means to their joy. Equanimity is the impartiality that permits the prior attitudes to focus on every being equally, without discrimination. Buddhist traditions following Shakyamuni provide specific meditation methods for the cultivation of these all-inclusive attitudes. For Buddhist traditions in which the teaching of Buddha nature is central, such attitudes are posited as innate capacities of mind that manifest spontaneously as the self-grasping patterns that obscure them are cleansed away by spiritual practices. In early Buddhist and Theravada traditions, the boundless attitudes have been cultivated specifically to overpower obstacles to the path (such as hatred and jealously) and to achieve states of highly refined meditative concentration. In my own traditions of practice (Tibetan, Mahayana), the four boundlesses are cultivated to empower the emergence of bodhicitta, the bodhisattva resolve to attain fullest enlightenment (Buddhahood) for the sake of all beings. Bodhicitta, the motive force of the bodhisattva path, is the motive power of the four boundless attitudes conjoined with wisdom when they are harnessed to attain or express Buddhahood. In Vajrayana Buddhist practice, the four boundlesses take sacramental form as the four doorways of the tantric mandala, the passageways to enter into the Buddha?s realm, to commune and merge with the Buddha?s qualities and to participate in their liberating activity for beings. These famous words are attributed to Shakyamuni Buddha: ?Hatred is never quelled by hatred in this world. It is quelled by love. This is an eternal truth.? That statement, like many ascribed to the Buddha, declares a necessary connection between conditioned mental states, such as hatred, and their results. To hate is both to elicit the hatred of others and to further habituate oneself to hating. To exercise patience in the spirit of love is to quell the conditioned dynamic of hatred in oneself and others. ?Without love, there canbe no dependable protection from hatred and its results?. This is stated not as sentiment but as objective truth, to be tested rigorously in the experience of individuals and communities. However, merely intellectual adherence to that truth is not enough. We may not perceive our individual and communal hatreds to be hatred. Instead, we may be conditioned, both individually and socially, to hate without conscious awareness of hating, to rationalize our subconscious hatreds in the name of ?retributive justice? or ?righteous indignation,? making it impossible to recognize how the Buddha?s words apply to us. 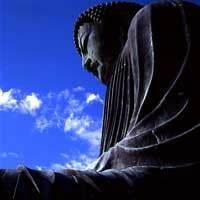 Then, upon hearing his words, we may wish only that others would listen better to the Buddha. The rigorous cultivation of boundless attitudes, such as love and compassion, taken up as daily practice, permits something new to happen. Such practice helps us come newly conscious of ways we have been subconsciously frozen into socially conditioned patterns of hostility and fear. It shows us how the warming rays of loving kindness for self and others, as the Buddha taught, can gradually thaw those frozen patterns, conforming ones heart and mind, little by little, toward the literal meaning of the Buddha?s words. In this way, we can test his words and see for ourselves, in little or big ways, whether the increasing power of love carries with it a field of protection in the lives we actually live. If love, compassion, sympathetic joy, and equanimity are lacking, the fundamental power of care for others well being, the essential will for good, is just not there. According to the MSA teaching, there is simply no escape from this fundamental truth. Strategies of assistance or protection for others and self that lack the fundamental power and motive force of love, of authentic care, automatically tend to express individual and communal dispositions toward jealousy, prejudice, fear, and violence, in the face of which all are rendered defenseless. Even when we claim to be helping others through our various agencies and governments, our ?helping? strategies are ineffective or harmful if they are not the expression of a genuine, strong will for the good of others, the will of loving kindness that wishes others to be deeply well. There may be further social implications to the MSA?s teaching that where genuine care for others is lacking, the opposite tendencies take over. If the social system in any society makes it too difficult for people at lower economic levels to fulfill their needs of life (for food, clothing, shelter, and education), such a system implicitly communicates the message to those at lower echelons that no one really cares whether they live or die. Even if some individuals at higher echelons of society experience themselves as civilized and loving persons, their social system, by making it so difficult for the lower echelons to live, may communicate the opposite message. Eventually, it may occur to some in the lower echelons to mirror the social systems seeming lack of care in calls for violent change, as if to say, ?just as no one cares whether we live or die, we don?t care if others live or die.? Recall the MSA?s specific message: Where all-inclusive attitudes of love and compassion are lacking, people become subject to their opposing tendencies: jealousy, malice, and violence. This problem can happen even when many persons in higher echelons lack any specific intention to injure or harm others. It can occur where social groups in power lack sufficient attention to the needs of other social groups, which is just to say, where genuine care for all members of the society is lacking. Just as love, willing the good of others, tends to invoke others capacity for love, social callousness about the well-being of others tends to invoke others capacity for callousness in an escalating cycle. The implication of this concept is not necessarily just to replace one social system with another, because the replacement may just replicate the callousness of the prior system in a different form, as occurred in societies that replaced capitalism with a form of communism, only to find it, in various ways, more socially repressive and callous about the lives of its citizens than the former system. Rather, the point here is for influential groups and individuals in any such social system to seek to see and feel much more of the social reality than was previously seen and felt, continually asking ourselves, Is our social system making it just too hard for some groups to live? If so, then how is that happening, and what can be done seriously to adjust the social system to respond much better to that reality? Those questions, if sincere, are the expression of an all-inclusive love, a genuine care for all involved, not just for some. To affirm this key point may sound naïve in an age of technocracy and narrow communal identities, but to ignore it is to lose the power to hold together the common good; it is to be rendered defenseless before the individual and social forces of evil that operate in all our hearts and tend to tear apart the fabric of all our societies. The attitudes of prejudice, hatred, and violence are radically cut off from the realities of persons, lost in projections of fear and malice, which, in the absence of all-inclusive love and compassion, present the appearance of being objectively what persons are, what the world is. Current perpetrators of violence here and abroad often perceive themselves as the historical victims who finally get ?justice? through violence, while their current victims fantasize about being able someday to become the perpetrators, to inflict their own revenge in the name of ?justice.? Fundamentally contrary to that dynamic are the all-inclusive attitudes of love, compassion, sympathetic joy, and equanimity, which are attuned to the actual realities of persons beyond such projections. These attitudes sense and respond to persons accurately, as they are, in the qualities shared by all, layers of human suffering and fear often hiding a tremendous inner capacity for generosity, love, and fundamental goodness. It is extremely hard to break out of the communal maps that project the appearance of a world of intrinsic ?friends,? ?enemies,? and ?strangers,? the maps that organize communal violence here and abroad, precisely because such maps are a social construction viewed as real by social consensus. This is an important meaning of the Buddhist term karma for our time. Karma in classical Buddhist theory refers to the habitual patterns of thought, intention, and reaction through which individuals experience and react to their world. Largely missing in classical Buddhist treatments of this topic is the way that patterns of thought and reaction (karma) comprise not just individually conditioned but also socially conditioned and reinforced phenomena. That is why most of us find it so hard to believe we could ever really become free from our deluded emotions of fear and aversion, to realize all-inclusive love as a real human possibility. When everyone around me believes that only certain people deserve to be loved while certain other people deserve just to be hated and feared, I become accustomed to seeing and reacting to them in that way and as I treat them that way; I receive the feedback that reinforces the impression, react accordingly, and thereby condition others around me to the same deluded view. Such social patterning of interpretation and reaction (karma) is largely subconscious, hard even to notice, and hence hard to change. Who will come right out and tell both the potential murderer and those who scream for the death penalty in ?righteous? hatred of him, before they kill, that our images of persons in every moment of malice, jealousy, and violence are illusory constructs of thought, distortions of persons, not the actuality of those persons? It is the perspective of boundless love and compassion that holds that vision, that knowledge. The boundless attitudes cut through their opposing tendencies by dispelling distorted projections of self and other, and by the sheer power of such unconditional attitudes to uplift oneself and others to our true potential for unconditional goodness. All this would sound unrealistic if the boundless attitudes were just rarities of birth, unattainable, uncultivatable. But there are clear and specific ways to cultivate them, now provided by Buddhist traditions to whomever wishes to take them up (not just for Buddhists). It is not enough merely to repeat sayings like ?love your neighbor as yourself,? ?the lives of all are invaluable,? and so forth when we see and deeply feel the world in the distorted, conditioned ways we do. Such pronouncements have little effect, because they provide neither the motivation nor any precise method to see through the conditioned projections and reactions that each moment make others appear vividly as if they were valueless or discardable, that hide their mystery, their intrinsic worth beyond reduction to our projections of them. What the world desperately needs is widespread exposure to specific means of realizing the boundless attitudes as a real human possibility, together with the recognition that where they are lacking, no scheme, strategy, or technology of itself will have the power to hold together the human family. My argument is not that individual cultivation of boundless attitudes, by itself, will alleviate the problem of violence in our world. Also required is continued analysis of connections between poverty, unjust social systems, and the social and material conditions that feed communal fear, hatred, and violence, followed up by social action. I do argue, however, that all such strategies for social intervention, in themselves, will never be sufficient. The power of the boundless attitudes, the sheer power of good will for all involved, is essential. These attitudes provide the motive force required for social and material actions for peace to bear lasting fruit, without which, they do not. Where all-inclusive love and compassion are lacking, their opposing tendencies tend to become the dominant motive force of social activity, whether or not the activity purports to help or to harm. According to the texts I have quoted, there is no escape from this truth. But there are means to conform to it. Clear, precise ways to cultivate all-inclusive love and compassion are the Buddha?s gift to the world, not just his gift to Buddhist ethnic groups and religious communities. John Makransky is in the department of theology at Boston College.